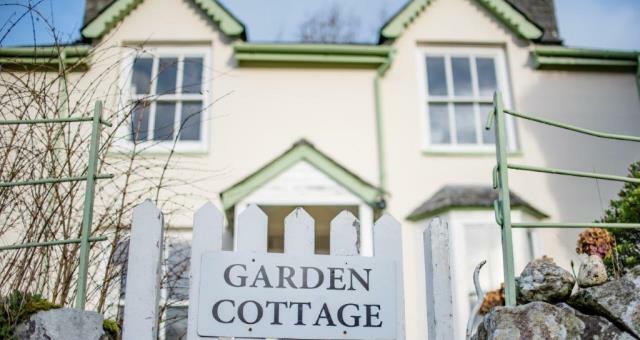 Garden Cottage @ Torrent Walk01341 422783work Self-cateringComfortable holiday property in peaceful surroundings with lovely mountain views of Cader Idris. Comfortable holiday property in peaceful surroundings with lovely mountain views of Cader Idris. Garden Cottage has a private garden. We welcome young children and one dog as the area is ideal for family holidays. Cross Foxes pub is within walking distance along a farm lane. Leisure centre in Dolgellau. Nearest swimming pools are in Machynlleth and Bala. The beaches of Barmouth and Fairbourne are only 12 miles away. Children welcome from any age. If coming from Shrewsbury, A458 - A470 to Cross Foxes Inn via Welshpool and Mallwyd. Go past Cross Foxes and continue on for approximately one mile, take the first road on your right to Brithdir (B4416), go downhill over river bridge then take the second turn right up a farm lane nearly opposite the Torrent Walk lay-by on the left. Garden Cottage is up this lane sign-posted on the left . Park opposite the cottage alongside the fence?